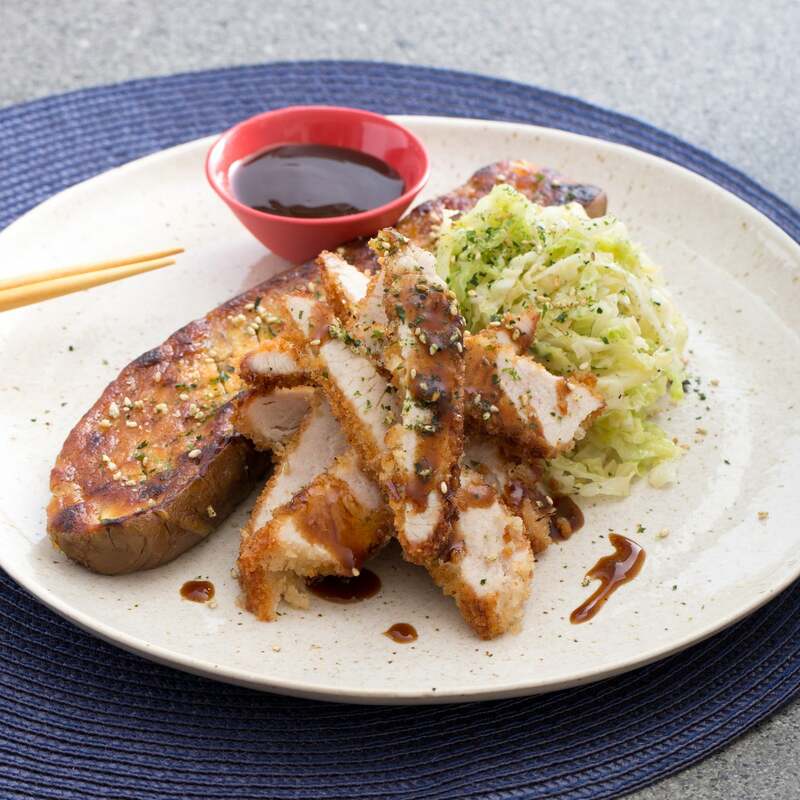 Katsu (a breaded, fried cutlet) has been popular on Japanese menus since the late 19th Century. Though cutlets were by no means new to Japan, the breaded, European-style preparation was and it became fashionable in higher-end restaurants. 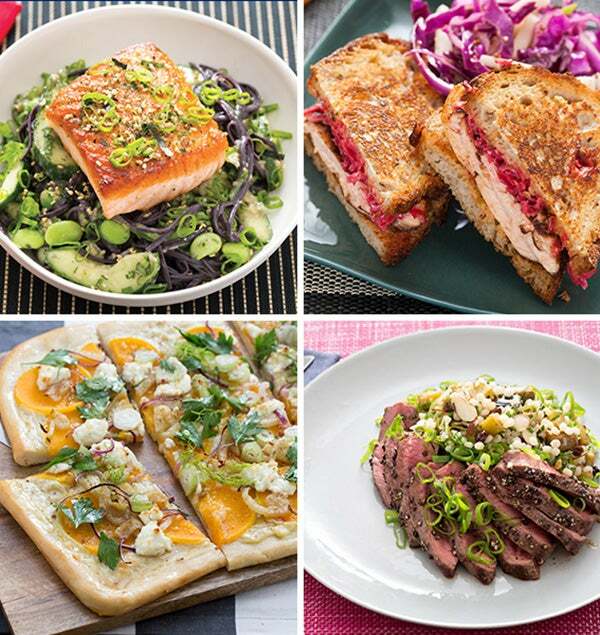 Since then, the dish has evolved, with version tailored to all kinds of tastes. In this recipe, you’ll keep it simple and serve it with roasted seasonal vegetables and crinkly, hearty savoy cabbage. Preheat the oven to 450°F. Wash and dry the produce. Peel and finely chop the garlic. 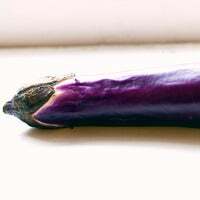 Cut off and discard the stem of the eggplant; halve the eggplant lengthwise. Using the tip of your knife, score a shallow, diagonal crosshatch pattern into the cut sides of the eggplant. 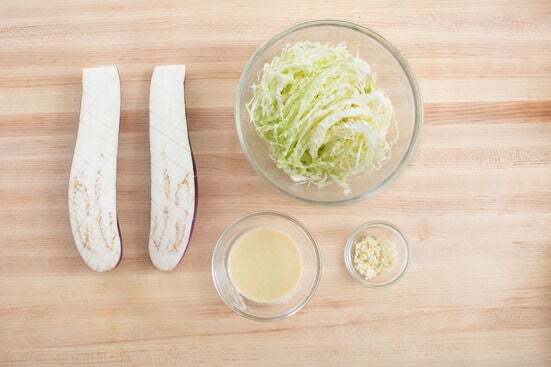 Remove and discard the core and tough outer leaves of the cabbage; thinly slice the remaining leaves. 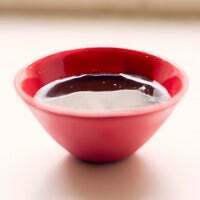 In a small bowl, whisk together the mirin, miso paste, half the sesame oil and 1 tablespoon of water. Place the eggplant, cut sides up, onto a sheet pan. Spread the mirin-miso mixture over the cut sides of eggplant. Roast 18 to 20 minutes, or until golden brown and tender. Remove from the oven and sprinkle with a pinch of furikake (save the rest for garnish). While the eggplant roasts, in a small bowl, combine the Dijon mustard and 2 tablespoons of water. Place the panko breadcrumbs on a large plate or in a shallow bowl. Season the cutlets with salt and pepper on both sides. 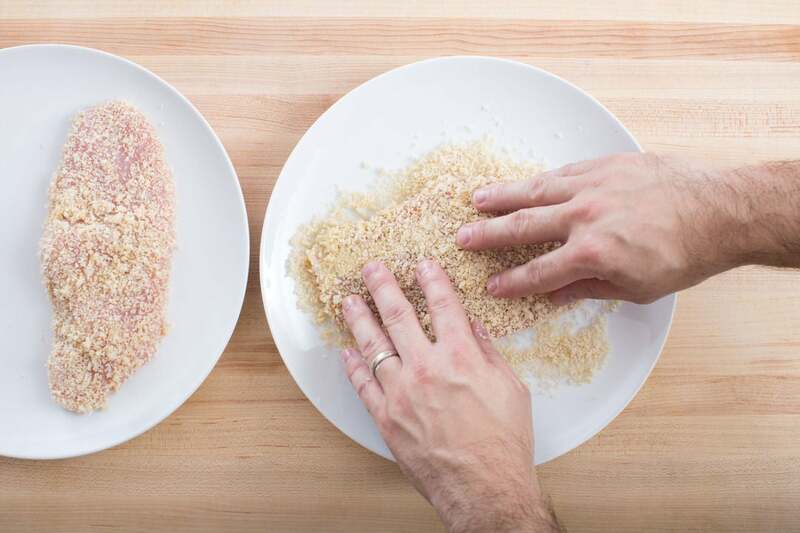 Working one at a time, completely coat the seasoned cutlets in the mustard-water mixture (letting any excess drip off), then panko breadcrumbs (shaking off any excess). Place the breaded cutlets on a plate. In a medium pan (nonstick, if you have one), heat 2 teaspoons of oil on medium-high until hot. Add the garlic and cook, stirring frequently, 30 seconds to 1 minute, or until fragrant. Add the cabbage and cook, stirring occasionally, 2 to 4 minutes, or until slightly wilted. 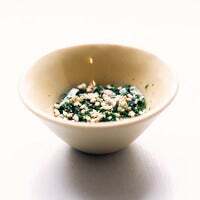 Remove from heat and stir in the remaining sesame oil and half the remaining furikake; season with salt and pepper to taste. 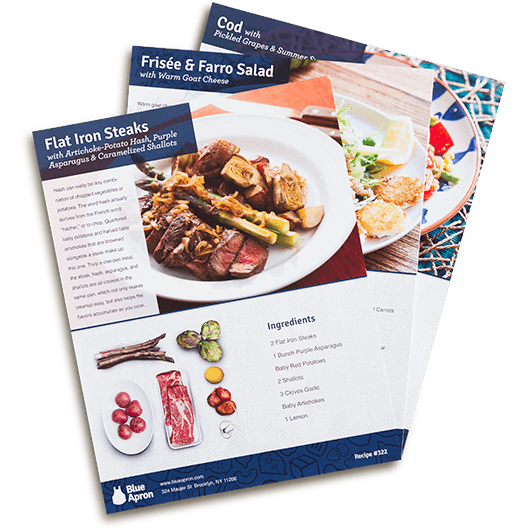 Transfer to a plate and loosely cover with foil to keep warm. Wipe out the pan. 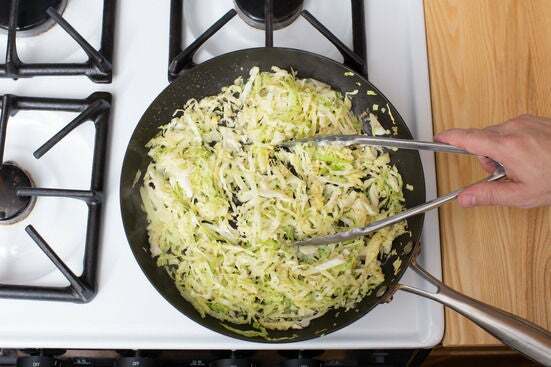 In the same pan used to cook the cabbage, heat 2 tablespoons of oil on medium until hot. 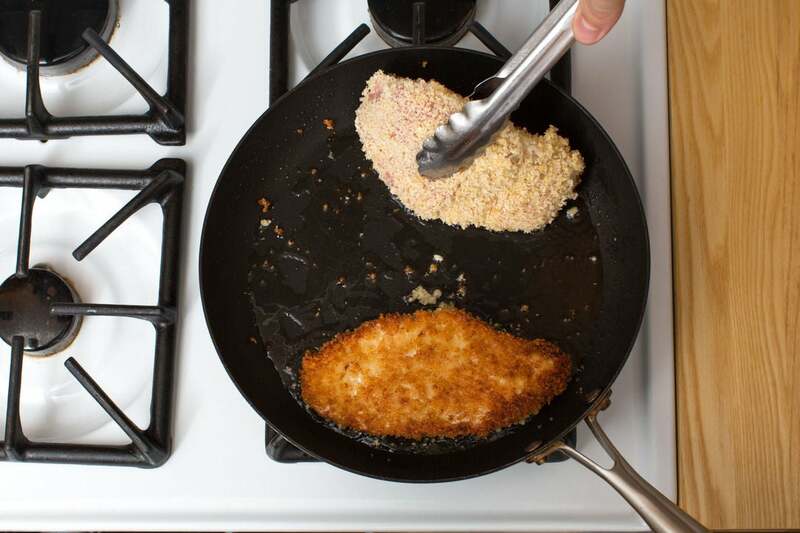 When the oil is hot enough that a few breadcrumbs sizzle immediately when added to the pan, add the breaded cutlets. Cook 3 to 5 minutes per side, or until golden brown and cooked through. (If the pan looks dry, add an additional tablespoon of oil after flipping.) 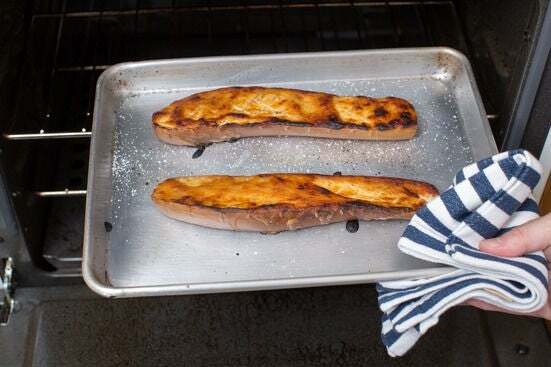 Transfer the cooked cutlets to a paper towel-lined plate. When cool enough to handle, slice the cooked cutlets into thin strips. 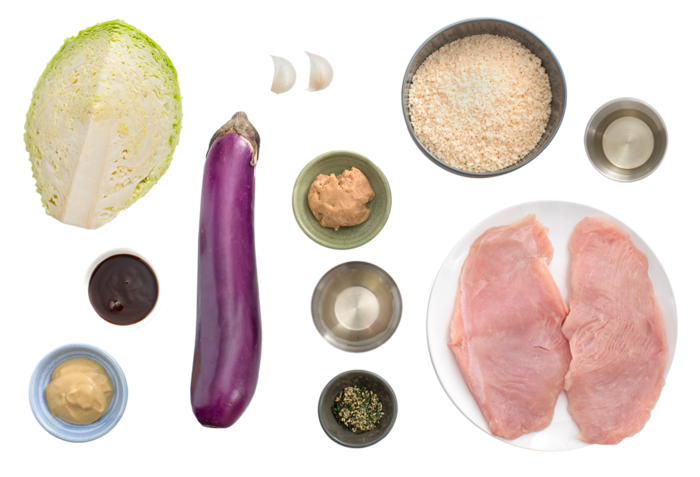 Divide the sliced cutlets, roasted eggplant and cooked cabbage between 2 plates. Garnish with the remaining furikake. 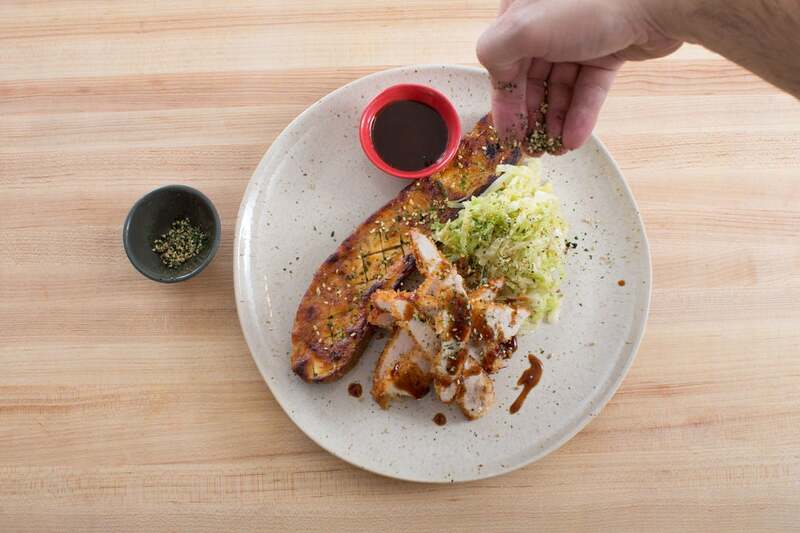 Serve with the tonkatsu sauce on the side for dipping. Enjoy!